It has been around a month since I arrived and I am totally enjoying my time here! The first few weeks of the semester went past really quickly and just as I get used to studying in this new environment, we are now on holiday! It is a week-long break which includes the Easter and study vacation (similar to reading week I guess) and it feels like a good time to take a break, organise things and get ready for the busy part of the semester. The first few weeks went very well as I got to familiarise myself with the campus and the mode of learning here. 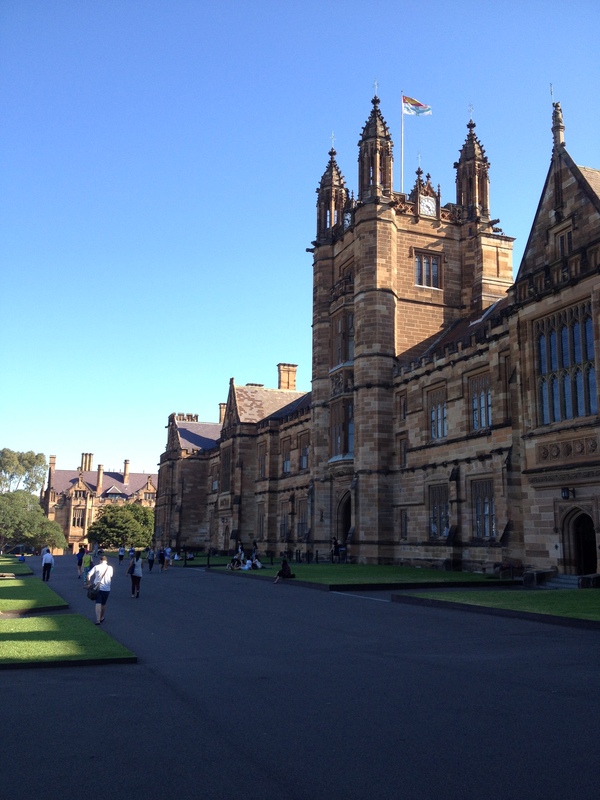 The campus of the University of Sydney is huge and less compact than the Manchester campus. Walking from one class to another can be quite far, similar to going from the North campus to the Learning Commons in our Manchester campus. Therefore students may have to consider the walking time as well when they are planning their timetable as even classes of the same subject can be very far away. Walking around the campus is always a pleasant experience as the weather is usually nice. There is plenty of grass and benches for you to enjoy the sun and the perfect weather, and these are also good places to have a quick lunch in between classes, do some work or just sit down and relax. The university consists of different kinds of buildings, from the old lecture theatres which have no air conditioning with wooden chairs carved with students’ graffiti back in the 1910’s, to modern buildings with bright and spacious classrooms; of course a campus isn’t complete without the boring engineering buildings from the ’70’s with dull concrete walls. There is not much on-campus student accommodation here so students usually live off-campus in areas nearby, while local students from Sydney tend to live with their families. Some of my coursemates live very far away from the university and it may take up to two hours to commute from home to campus. I guess this is quite different from the situation in Manchester as there are lots of on-campus halls and even for students who live in Fallowfield, it only takes less than half an hour to get to university. I also feel a better sense of community back in Manchester, probably because I lived in university halls so I was always around a group of friends and students even after school. 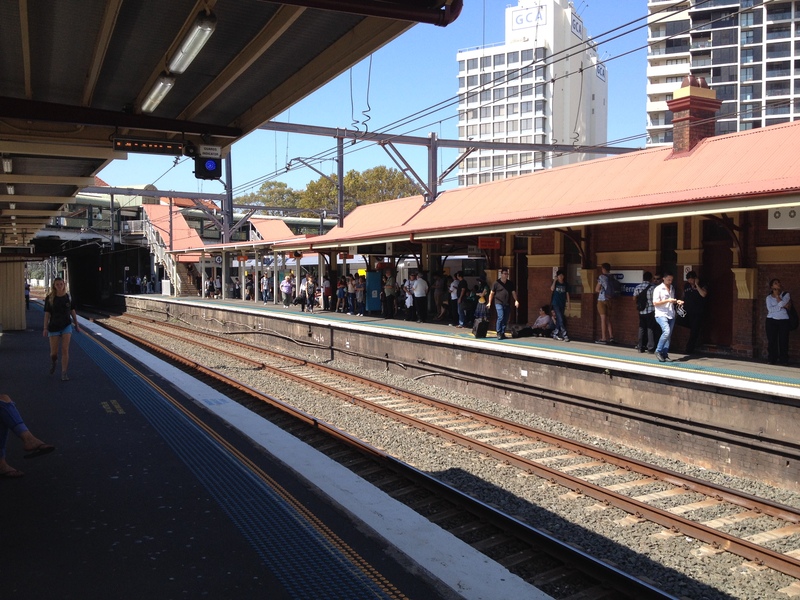 As for my experience in Sydney, students tend to go home after classes and it feels more like attending classes on an individual basis rather than learning together as a class. Although I feel that the bonding between students may not be as strong as I have experienced in Manchester, I experienced a slightly different kind of student life here which is more independent and it is a new experience for me. I think it has helped me to improve my self-management and I can focus on doing things according to my own plan, which includes studying, traveling, having fun with friends and doing exercise. The Quadrangle – the landmark of the University. Going to the University by train… (and yea!! 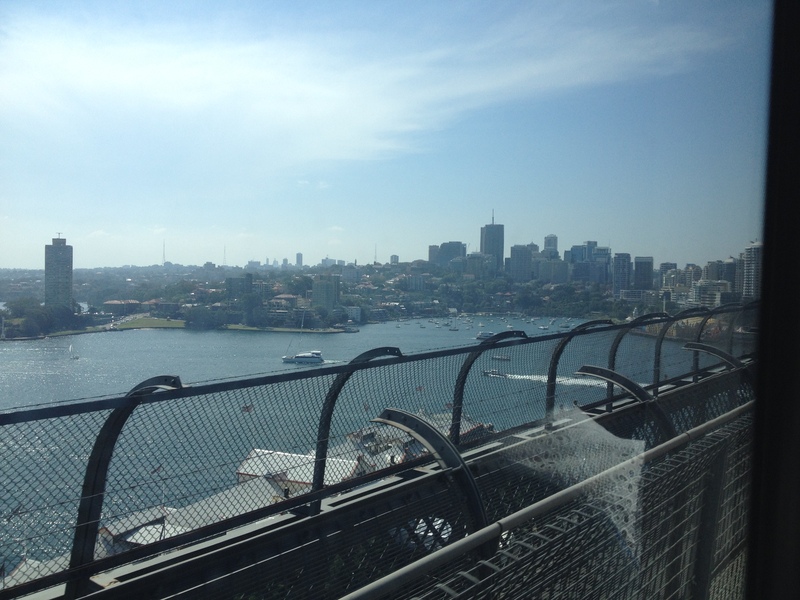 I get to cross the Sydney Harbour Bridge whenever I go to uni and the view is spectacular). Previous postWhere has the year gone? !